His Holiness Pope Francis was deeply saddened to learn of the severe earthquake which has struck Iraq, and he assures all affected by this tragedy of his prayerful solidarity. In expressing his sorrow to all who mourn the loss of their loved ones, he offers his prayers for the deceased and commends them to the mercy of the Almighty. Upon the injured and the emergency and civil authorities engaged in rescue and recovery efforts, His Holiness invokes the divine blessings of consolation and strength. 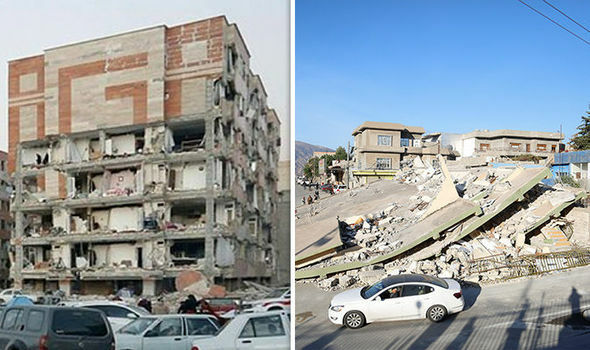 His Holiness Pope Francis was deeply saddened to learn of the severe earthquake which has struck Iran, and he assures all affected by this tragedy of his prayerful solidarity. In expressing his sorrow to all who mourn the loss of their loved ones, he offers his prayers for the deceased and commends them to the mercy of the Almighty. Upon the injured and the emergency and civil authorities engaged in rescue and recovery efforts, His Holiness invokes the divine blessings of consolation and strength.